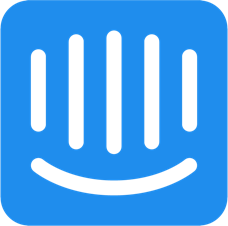 Intercom empowers businesses to have contextual conversations with customers by tracking product usage and customer activity. We decided to add power to Intercom with this integration - to fully harness the power of customer data and information across different products, and expand the possibilities by bringing it together in one place. 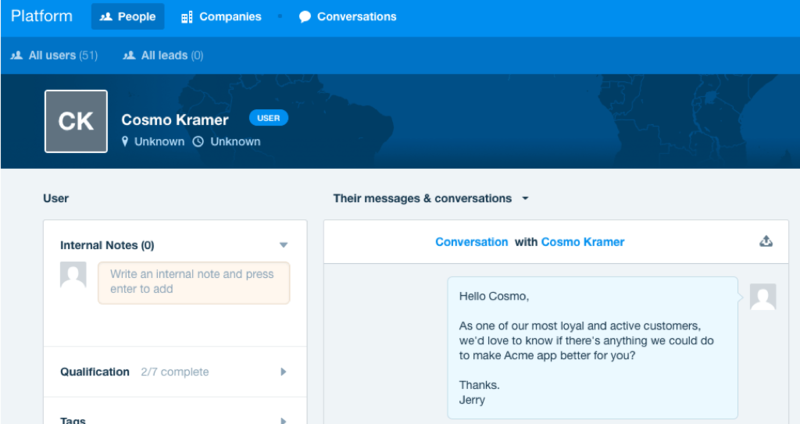 Chargebee’s integration with Intercom makes a case for powerful communication. Add subscription, customer, and invoice-related attributes as well as custom fields to existing customer information in Intercom. Intercom is a messaging platform that helps businesses connect with consumers. Turn communication into conversations with context, personalization, and a touch of ‘human’ in your interactions. Different teams perceive customer data differently. Decisions can be made smarter and faster when all this data is available in one place. - Marketers can run targeted email campaigns based on the customer information. - Product Managers can make sense of feature adoption and nudge customers based on the subscription status. - Customer success teams can recommend custom solutions to key customers based on the pricing plan. Improve efficiency and productivity by managing sync preferences between Chargebee and Intercom. - Auto sync or manually sync your data. The auto sync option ensures that data is synced and up-to-date every 6 hours. - Select and control subscription details, customer details, and payment fields that need to be synced. 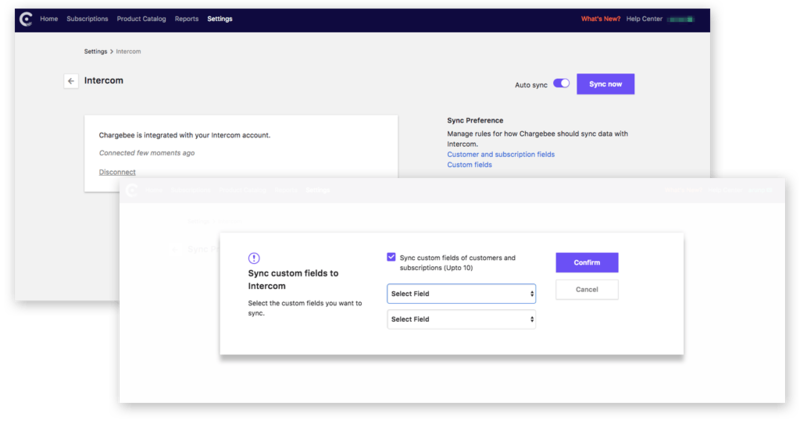 - Choose the custom fields that need to be synced with Intercom for a more granular integration and personalized experience. Visit Intercom to learn more about setting up this integration. 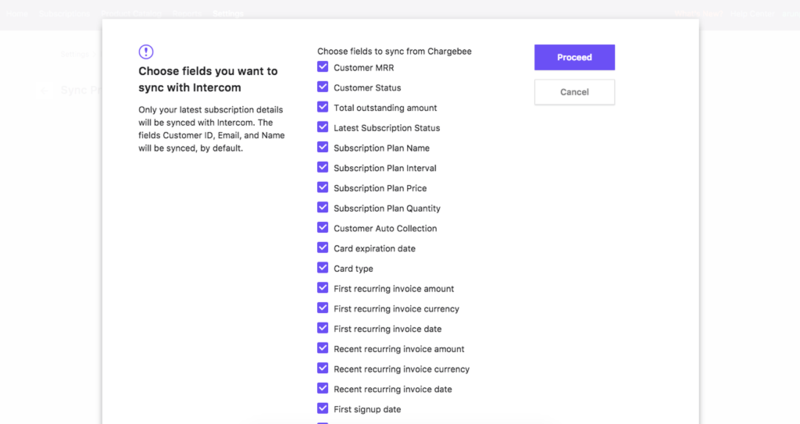 It takes just two steps to connect your Chargebee account with Intercom. Does the integration allow a two-way sync between Chargebee and Intercom? Does the integration allow company-level sync? No, this is a one-way sync. Only the subscription information will be synced from Chargebee into Intercom. While we don’t allow company-level sync currently, it is in the pipeline, and we want to assure you that it is well on your way! Meanwhile, you could write to support@chargebee.com to request for this feature.